State Labor Commissioner Robert Asaro-Angelo says New Jersey’s business community could see a potential $200 million reduction in the unemployment taxes they pay in FY 2020 if current economic conditions continue. Asaro-Angelo told the Senate Budget & Appropriations Committee on Thursday that the unemployment trust fund balance is projected to grow to $3 billion by the end of the current fiscal year on June 30. Companies that pay regularly into the trust fund are already saving $263 million in the current fiscal year and could see a further tax cut in the FY 2020 if unemployment remains low. 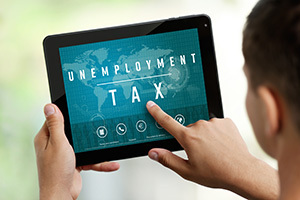 NJBIA had strongly advocated for reforms that would lower unemployment insurance taxes earlier in the decade, and even co-chaired a UI Task Force. NJBIA Vice President Michael Wallace said this is good news for the business community. Go here to read the full NJ Spotlight story. Glad to see that NJ is thriving under the Trump economy. Too bad the dumb voters were fooled by left wing propaganda and booted out most Republican Congressmen, but no one ever said NJ voters were smart. Need proof? Booker, Menendez, Murphy, Pascrell, Sweeney etc. 100% correct. So sad that most people in NJ can’t see through all of the scams. No one in office is really there to help them. Only to line their own pockets. Murphy will find a way to tax that too. Like it or not, the Trump term has been good for business.